20th century steel. 13th century technique. The relationship between cook and knife is a unique one. Each individual’s favored brand of blade is different. But even if you don’t work in a kitchen for a living, there are still a handful of criteria to consider: sharpness, durability, ergonomics, and beauty. To meet such requirements, you need not invest a pricey sum into an excessive collection of blades. But the impact a good set of knives has on your culinary efforts should not be ignored. They won’t fix poor cooking, but the enjoyment and speed of all that slicing and dicing can and should be a more savory experience with the right tools. For a balance of beauty, brawn, and exceptional performance, our money is on Shun Cutlery. Pronounced “shoon”, the brand’s name in Japanese is the word for the precise moment during the year when a particular food is at the peak of perfection — perfectly fresh and ready for optimal consumption. 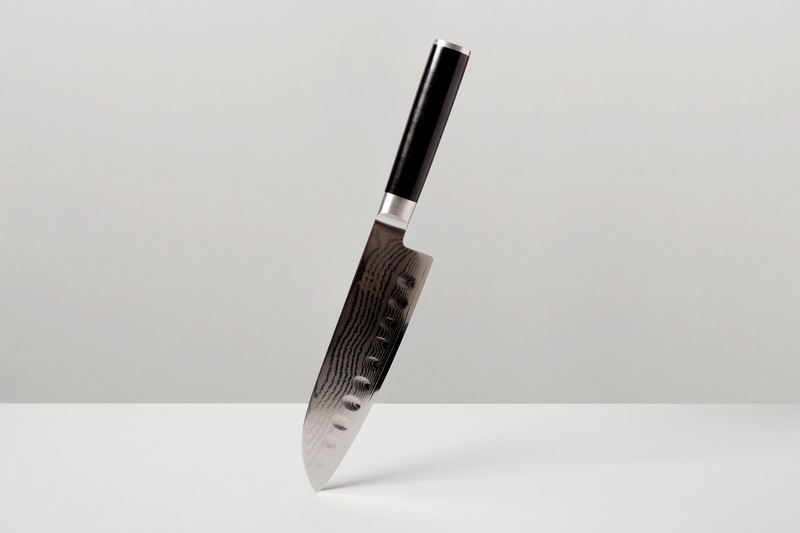 Developed and made in Seki City, an icon of the Japanese cutlery industry since the 13th century, these knives are painstakingly handcrafted with over 100 individual steps. Each blade exhibits balance and specific edge geometry — with 16° angles for superior sharpness — and is made of VG10 steel layered on each side with stainless Damascus cladding for superior strength (and a specific beauty that only the Damascus process can bring). Teardrop handles keep each knife stable in your hand. It’s one of those things you simply don’t notice until you go back to handling an inferior blade. And you won’t want to; seriously, even if you only buy one, you will wash it over and over as you switch between foods, simply to avoid using those other knives you’ve accumulated over the years (just make sure you learn to be a pro at keeping your prized blade hewn to a sharpness that is worthy of such a tool). 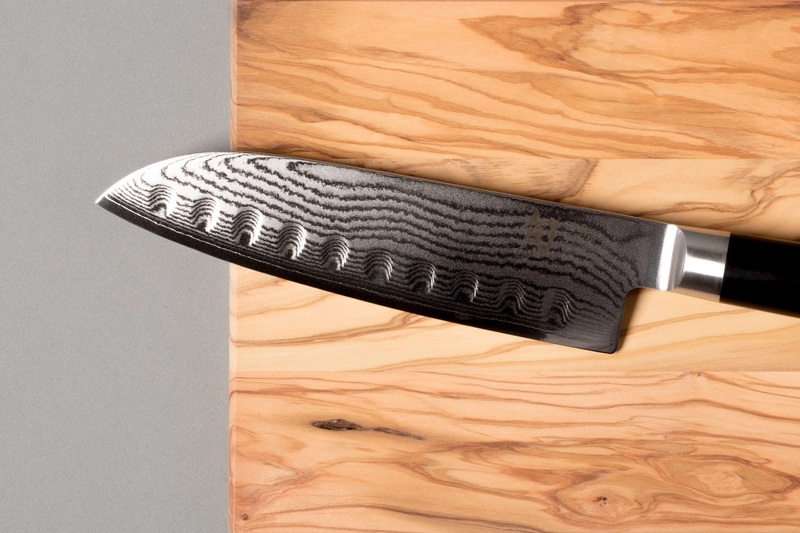 Pictured here is the Shun Classic Santoku knife. Like the rest of the blades in their Classic series, this features ebony PakkaWood, which is strong and moisture-resistant. This, or a Classic Chef’s knife, is probably the place to start. While there are numerous other lines of Shun knives for your consideration (Shun Premier, Shun Hiro, and Shun Fuji, to name just a few) the Shun Classics offer a combination of value and performance that’s hard to beat. You don’t have to be a sous-chef to enjoy a good knife. 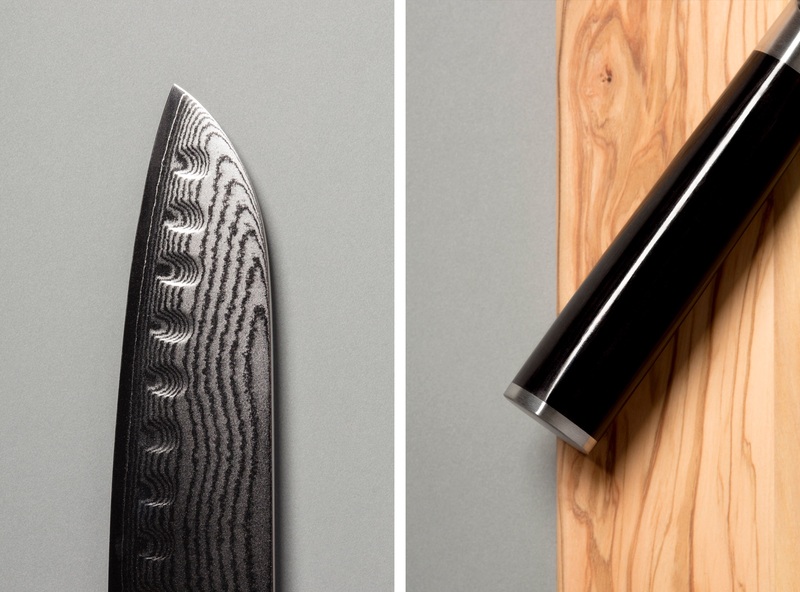 So brush up on those knife skills and get yourself a Shun. Or nine. You’ll eventually build an entire set. But if you’re looking to start with just one, start here. You won’t regret having a knife of this calibre on hand.